Kerala is not just a place for water sports but a good place to fly too. 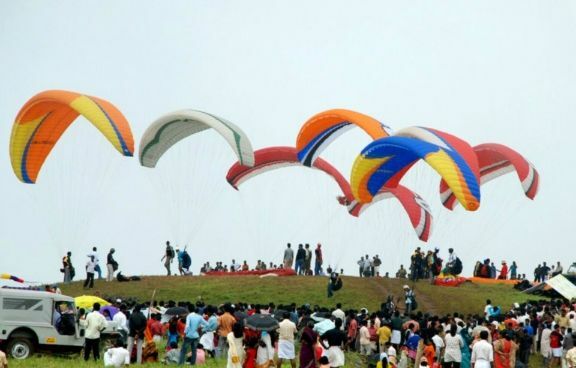 The International Paragliding Festival of Kerala is such an event which draws thousands of people in the state not just for participation but for watching also. International Paragliding festival of Kerala is a popular event known all over the globe.This is an awesome event which is watched by thousands of spectators.The International Paragliding Festival is held mostly during March and April and it’s just been few years since this event started. This event is managed by Kerala Tourism and the Adventure Tourism of Kerala, the Paragliding Festival in Kerala attracts a number of international tourists as well people from all over India.This event is well systematized by the Adventure Sports and Sustainable Tourism Academy (ASSTA). International Paragliding Festival is one of the thrilling festivals in Kerala. If anybody is looking for the adventurous tour and trip among the lush green hills of Kerala then International Paragliding Festival is the ideal thing for that person. In this festival number of paragliding fliers come from all over India and abroad to Kerala to participate in the International Paragliding Festival in Kerala. 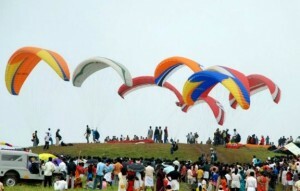 The International Paragliding Festival is held mostly in Vagamon. Situated at the border of Kottayam and Idukki districts, Vagamon is a hill station which has green valleys and mountains speckled with tea plantations. On these hilly regions of Vagamon, the International Paragliding Festival is organized. The International Paragliding Festival in Kerala made an effective entrance in the year 2006 and attracts pilots from different parts of the world. Kolahalamedu is one of the takeoff points in the Vagamon hills for the event. The sky gets colorful with different Para gliders and you can feel that spirit of enthusiasm and adrenaline rush while gliding and far-reaching through the green and rolling hills of Kerala’s Vagamon . People love to see the colored para glide’s on the sky and they also encourage the players to fly more higher. Enthusiast people do join this game not just to show their flying skills but also to try the adventurous slice of life.